If you don’t already have your Memorial Day barbecue menu all planned out (even if you do! ), I beg you to add this salad to the list. Quite simply, it is just plain delicious….and healthy, too! 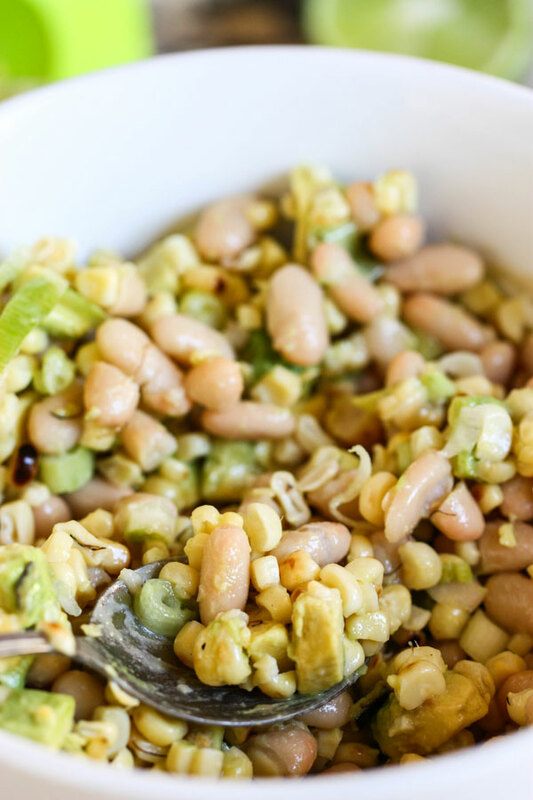 Roasting corn brings out all the natural sweetness and gives it that nice smoky flavor that pairs perfectly with avocado and lime for a great Southwestern flair. It would pair perfectly with ribs, burgers, hot dogs or whatever else you’ve got cookin’ this weekend. I tossed everything in a very simple and zesty lime juice dressing that will keep the avocado from oxidizing. With protein from the beans and healthy fat from the olive oil and avocado, you could even treat this salad as a meal in and of itself. Roasting brings out the corn's natural sweetness, and the avocado and lime creates a great Southwestern flair. 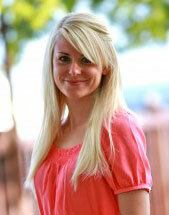 Jenna Weber breaks down the flavor combinations in a full post on the Fresh Tastes blog. Heat up your grill to medium high heat. Rub the ears of corn with a little bit of olive oil and place on grill. Close grill and cook for about 15 minutes, flipping corn occasionally. 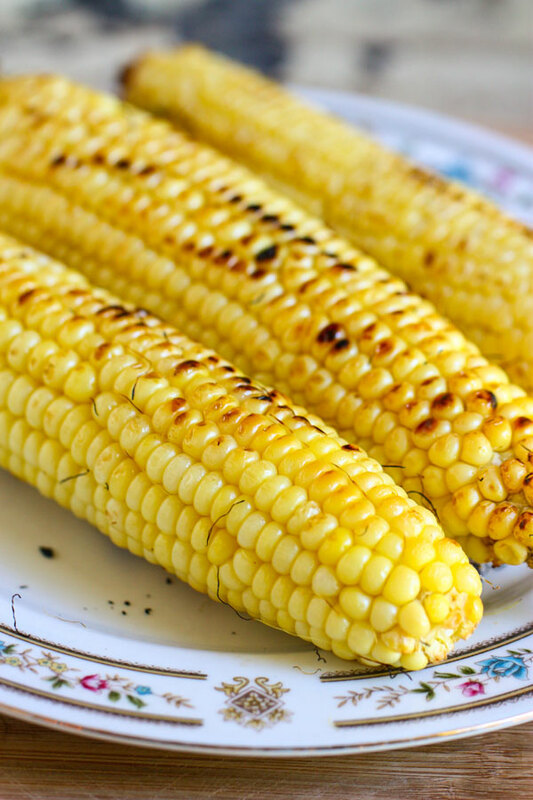 You really want the corn to be nice and charred…don’t be afraid to keep it on the grill longer than you think! When done, remove corn and let cool completely. Then, assemble the salad. To make the dressing, mix together the fresh lime juice, 1 tbsp olive oil and a pinch of salt. Shake well then set aside. When corn has cooled, carefully cut kernels off the cob and into a large bowl. 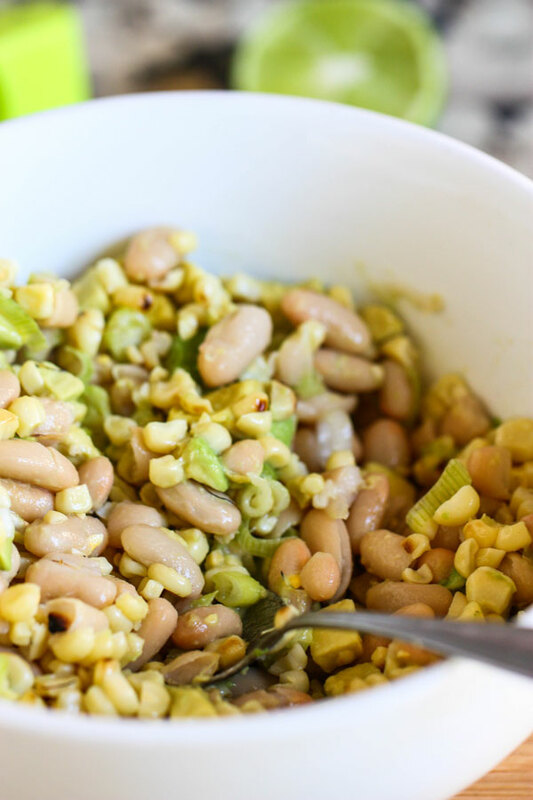 Top with the chopped green onions, white beans, jalapeno pepper and diced avocado. Add ¼ tsp salt, a pinch of pepper and mix well. Pour dressing over salad and serve immediately or cover tightly and chill until serving.